It’s time to accelerate the transition to Industry 4.0 working and Desoutter is leading the way. Earlier this year we promised you a game-changer – and here it is, let’s boost now your up-time, boost your productivity and boost your flexibility! 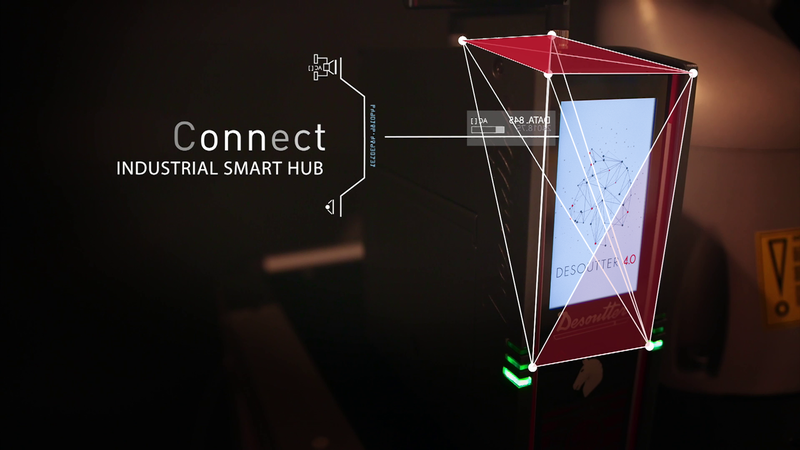 Say hello to CONNECT: our Industrial Smart Hub designed to accelerate your transformation towards an Industry 4.0 factory. Supporting numerous applications from a single point, I believe that CONNECT will revolutionize ways of working. This platform enables multi-asset management with more connectivity and flexibility than anything; and with less hardware required on the production line, installation is simplified and cost of ownership is reduced. Essentially, CONNECT offers a single point of connection for communications between the factory network and up to 20 tools. it takes just ten seconds to pair a tool to CONNECT using RFID technology, which makes line rebalancing incredibly easy. Application-based customization is one feature that figures strongly, offering a scalable and flexible solution which allows customers to add new features whenever the requirements on their production lines change. While CONNECT comes with a standard functions package that meet majority assembly line requirements, users have the option to add strategic features they need to make the hub their own. Personalizing CONNECT simply involves activating the required feature and you’re ready to go. This level of agility enables customers to reconfigure their assembly lines within minutes rather than hours. Imagine how much this will boost uptime and productivity! We appreciate that traceability and security of data are key concerns for our customers and CONNECT takes care of these too. Information is collected and stored in real time, but is easily and securely accessible via a web browser; offering total data traceability. You can also generate reports at the click of a button. As you can tell, I am extremely excited about the potential of CONNECT to transform assembly line operations forever. Indeed, Desoutter as a whole is fully committed to this transformation technology and all our wireless tools will be compatible with CONNECT from now on. Welcome to the Desoutter 4.0 future!